NCIS: Los Angeles isn’t finished yet. CBS announced today they’ve renewed the crime TV show for an eighth season, which will air during the 2016-2017 season. A spin-off of NCIS, the procedural features a team of investigators who specialize in naval crimes around the city of Los Angeles. The series stars LL Cool J, Chris O’Donnell, Linda Hunt, Daniela Ruah, Eric Christian Olsen, Barrett Foa, Renée Felice Smith, and Miguel Ferrer. Seven seasons in, NCIS: Los Angeles is still performing well in the ratings. So far, the current season is receiving an average of 8.75 million viewers and a 1.34 rating in the 18-49 demo. Today, the network announced 2016-17 season renewals of 10 other shows as well — 2 Broke Girls, The Amazing Race, Blue Bloods, Elementary, Hawaii Five-0, Madam Secretary, Mom, NCIS: New Orleans, Scorpion, and Survivor. What do you think? Do you watch NCIS: Los Angeles? Are you glad it’s been renewed? What other NCIS spin-offs would you like to see? 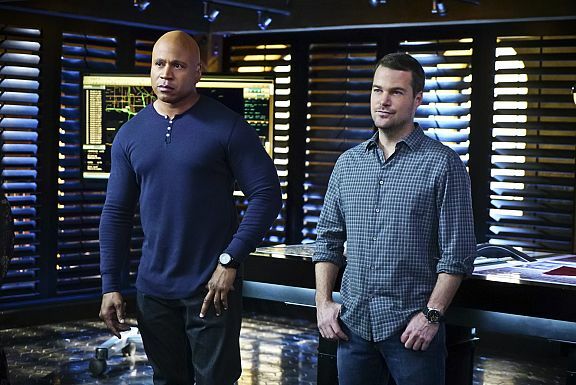 More about: CBS TV shows: canceled or renewed?, NCIS: Los Angeles, NCIS: Los Angeles: canceled or renewed? NCIS: Los Angeles: CBS Renews Series for (Only) Season Two? I don’t know whether I would continue watching NCIS:LA if Hetty left.